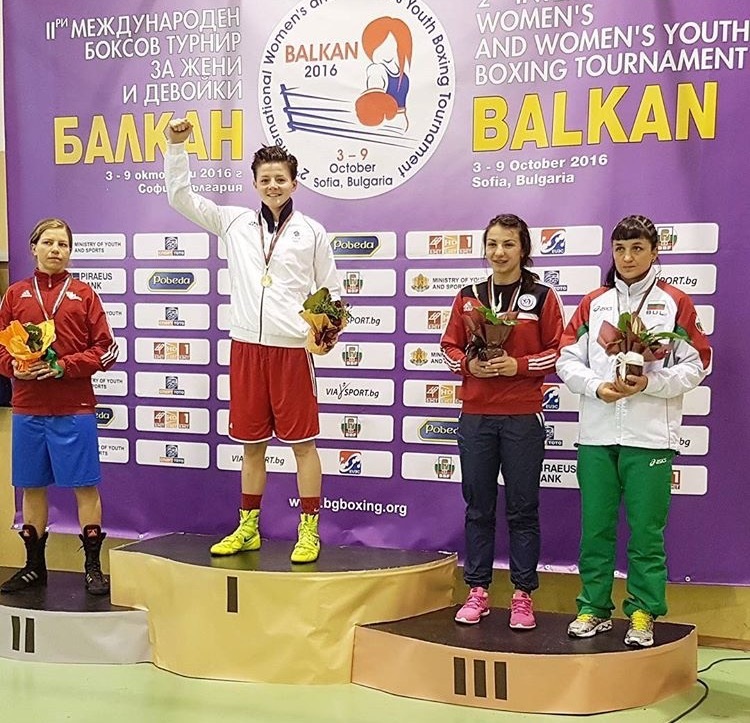 GB Boxing’s Sandy Ryan took first place on the podium when she represented GB Boxing at the 2nd edition of the annual international Balkan Tournament in Bulgaria this week. The One Nation boxer beat Canada’s Deedra Chestnut in the quarter finals to set up a semi final against Yama Alekseenva of Azerbaijan. Alekseenva won the final at the European qualification tournament and is a very experienced boxer. Ryan stopped the Azerbaijan boxer in the semi final by TKO in round two, securing her place against Sandra Brugger of Switzerland in the final bout. Beating the extremely experienced Swiss boxer by unanimous decision in the 60kg final bout, Ryan takes home gold. Follow @gbboxing on Twitter for more information on upcoming tournaments.